If you're too tight to shell out for Puyo Puyo Tetris, then you might be interested to know that you can get your Puyo Puyo fix within Sonic Mania, any time you want. Yes it's possible to unlock your own little version of Dr Robotnik's Mean Bean Machine in Sonic Mania. You'll just need to collect 20 silver medals in order to unlock the Mean Bean mode. Of course getting 20 silver medals isn't as simple as it sounds. You will need to locate and successfully complete a Blue Sphere bonus stage in order to get a silver medal. Should you manage to collect all the rings on the bonus stage then you will be granted with a gold medal. We assume a mixture of silver and gold medals will unlock the Mean Bean mode so long as you manage to grab 20 medals. Let us know if you've managed to unlock this coveted mode yet with a comment below. I kinda want to unlock the AOSTH Robotnik design and music. You all know why. Dont judge me. @BLP_Software Snooping as usual I see! Just wanted to let all of you who said there was no point in the Switch being portable, this game is helping me to prove you wong. At home, in bed, at work, on the John, even ended up playing split screen 2 player at my daughter's gymnastics practice with random strangers "roof top party style". Cripes, there are medals for collecting all the rings? That's a bit nasty, since you have to ensure the last sphere you get doesn't produce any. It wasn't that hard to get all 32 gold medals for me, but S3&K was one of the first video games I ever played as a young one, so Blue Sphere is like second nature to me. I love Puyo Puyo, so for me this is an awesome bonus. This makes me hope that Sega releases more Puyo Puyo Games in the west. "If you're too tight to shell out for Puyo Puyo Tetris..."
Or have a region-locked 3DS/Wii U. Please could article headlines about secrets/easter eggs be a little more subtle than this? I like to maintain a bit of surprise in my games. @Rafx cool, you have got to tell me what happened when you pulled it out at the gymnastics, had they even ever heard of a switch? Where these Gamers? Or were these just random parents that hadn't played since they were kids? It ended up being me and 3 other adults plus their kids as they finished up their lessons. One guy had no clue the others were either gamers or had in the past. So it was a mix of people and a few on lookers that would stop and ask questions. I have to admit it was unlike anything I have experienced in 30+ years of gaming. Got it yesterday. Another great extra to kill some time with. I have the original Mean Bean Machine along with the Puyo games too but this is a neat little touch. Good Lord they really went to town with this game didn't they. At least this is something Nintendo had never done before with the Super Mario game. There was never a Dr. Mario boss fight in any Super Mario game. Thanks for continuing to spoil every hidden detail of Sonic Mania, NintendoLife. I'd hate to be surprised by a game, my heart might not take it. I'm like super good at Blue Sphere, so this should be no problem. Nintendo Life should just make a new category/topic for spoiler related articles. If we have one for something as specific as Princess Peach, a spoiler topic should be fine. Fantastic extra, love some Puyo Puyo. Having the Mean Bean boss fight with Robotnik is amazing, makes the old spinoff seem more canon. On a related note, I recently went to rebuy Mean Bean Machine for Master System - apparantly nowadays its gonna cost me £150+! Still totally worth it though. 8-bit Sega f'in rules. Beat all the stages, got gold on about half of them. Im just wondering what getting ALL gold will unlock. Did any of them know what it was before you told them? Like did they know it was a switch a Nintendo switch? Because I have noticed that when I was a kid everyone knew what a Nintendo Game Boy was. Then fast forward 20 years and not even every kid knows what a 3DS is? And I would probably say that was probably the same for the DS the Gameboy Advance they probably did know what it was though. I believe this is the only time I've ever seen a game referencing a past spin-off game that was a rebranded localization of a game from an entirely different series. It would be like if the upcoming Yoshi game on Switch had a boss battle where you played a match of Tetris Attack a.k.a. Panel De Pon. @Seanmyster6 actually, in animal crossing new leaf welcome amiibo, you can play Tetris attack (or puzzle league or whatever generic name they called it) just by scoring a 3ds in the game which is super easy, either you can scan in an animal crossing amiibo to get it or get a ticket with coins in the shop that may unlock one. Needs more Scratch and Grounder. Unlocked Mean Bean with no effort, not that it matters. I have Dr. Robotnik's Mean Bean Machine on various compilations including Sega Mega Drive & Genesis Classics on Steam. It is not hard to find it cheap. You get to play Blue Sphere whenever you like...kind of a lame unlockable if you ask me. @Ishi not trying to be rude but curious how the words "How To Unlock Mean Bean Mode" wasn't a dead give away that there was a spoiler coming? 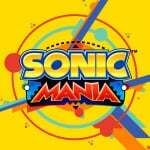 @Scotty78 My concern was that just the title "How To Unlock Mean Bean Mode in Sonic Mania" gives away one of the game's cool surprises, even for those who don't click on the article. @RainbowGazelle … But Sonic Mania isn't available on those platforms, so this isn't an alternative. But if you have a Switch to play Sonic Mania, then you can buy Puyo Puyo Vs Tetris. @Dazza "We assume a mixture of silver and gold medals will unlock the Mean Bean mode so long as you manage to grab 20 medals." @Dazza Er, ok, after playing a bit more just now and getting 3 more silvers (for a total of 23 medals altogether: 11 gold 12 silver) Mean Bean Machine unlocked. I don't know.